You said yes! What comes next? From venue hunting to choosing your bridesmaids, we’ve compiled a list of some of the most important tasks you need to tackle after getting engaged. So, your partner has popped the question (or vice-versa, it is 2018 after all), you’ve said yes, and you’re sporting a shiny new rock on your left hand. Congratulations! Getting engaged is one of the happiest and most exciting times of your life, but amidst the excitement and champagne there is also a wedding to plan. There is a lot to think about when it comes to organising a wedding, so we thought you might appreciate a little help and guidance on what comes next after you’ve said yes. 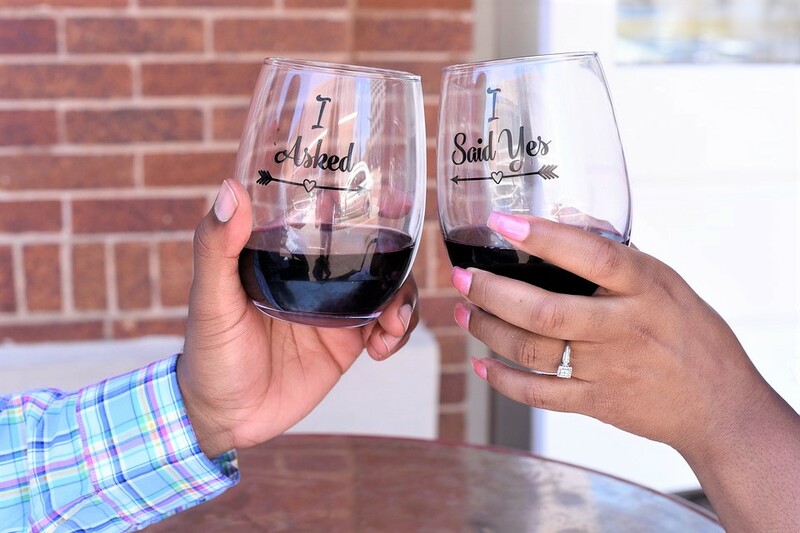 Before you rush into wedding planning, take some time to celebrate being engaged. How you do this is up to you. It could be a romantic weekend away for you and your new fiancé, a family meal, some celebratory drinks with your closest friends, or, if you don’t mind a bit of planning, why not throw an engagement party to celebrate your happy news with all of your loved ones? It could also be a good opportunity to trial some of the suppliers you have in mind for the wedding itself. It might sound boring, but before you get carried away with dresses, flowers and wedding favours, it’s imperative to get your finances in order and set a realistic budget. You and your partner need to discuss how you will fund the wedding, whether it’s through savings, help from family, credit cards and loans, or a combination. Knowing what you have available to spend will help you to focus your planning and hopefully prevent you from falling in love with a venue or dress that you simply can’t afford. Another boring but necessary task is to get insured. As soon as you have a venue booked it’s a good idea to take out a wedding insurance policy which will protect you in the case of venue cancellation, supplier failure or key people falling ill. And while we’re talking insurance, it’s also a good idea to get your new rock insured as soon as possible – nothing will spoil your engagement more quickly than a lost ring! Either find out if you can add it to your existing home insurance policy, or look into taking out a special policy that specifically covers your engagement ring. At this stage you may not know the exact date you want to get married, but it’s worth speaking with close family and establishing a few potential dates. At the very least, you can start thinking about how long you want your engagement to be and the time of year you’d like to get married and take things from there. With a rough date in mind you can begin the all-important hunt for a wedding venue. Once you know the time of year you want to get married and how much you want to spend, you should start thinking about securing a venue. You may think you have plenty of time but the wedding venues in Essex can get booked up months and often years in advance so it pays to start your search as soon as possible. With so many venues around it can seem a little daunting, so to narrow down your search think carefully about what style and size of wedding you’re looking for. For example, are you looking for something small and intimate or something large and lavish, a civil ceremony or traditional church affair? Once you have some answers to these questions do some research online to create a shortlist of potential venues and get in contact with them to arrange visits – a venue may look great online but to really get a feel for it you need to see it in person. Compiling the guest list is one of the most difficult elements of wedding planning (and can often be the cause of arguments), so try not to leave it to the last minute. You don’t need it finalised at this early stage, but you will need a rough idea of numbers before you decide upon a venue. Your parents will often have firm ideas about who should be invited (especially if they are paying for the wedding), so to avoid conflict it helps to have an open and frank discussion early on in the planning process so that you can manage expectations. Depending on the length of your engagement, it may be a little early for formal invitations, but once you have the venue and the date nailed down you may want to think about sending out ‘save the date’ announcements. This gives your guests plenty of notice of your big day, making it more likely that they will be able to attend. If you’re able to get these out quickly (and can keep a secret!) they could even double as your engagement announcement. With the venue in the bag, it’s time to start sourcing your other key suppliers such as photographer, caterers (if separate to the venue), make-up artist, cars, entertainment and florist. As with venues, the best suppliers tend to get booked up far in advance so don’t delay if you have someone specific in mind. 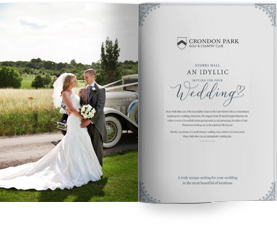 Attending wedding fairs is a great way to find potential suppliers, as is getting recommendations from family and friends. Also start thinking about colour schemes early on, so all suppliers can coordinate. One of the best parts of wedding planning is asking your friends to be a part of your special day and stand by your side as you say ‘I do’. You probably already know who you would like to have as bridesmaids or groomsmen, but if you’re unsure or finding it difficult to make a decision, this guide to choosing your wedding party could help. If you feel bad about leaving out somebody you can always get them involved in other ways, such as asking them to perform a reading or act as a witness. Wedding planning is great fun, but with so many things to think about it can also be a little bit overwhelming. If it all seems a little complicated check out some of the great free planning tools that are out there, such as guest list trackers, budget calculators, and seating plans, which will help you to streamline and simplify things. Pinterest is also an invaluable tool, providing you with a space to store and organise your ideas, as well as providing you with inspiration from other picture-perfect weddings. And don’t be afraid to rope in close friends and family when you need to bounce some ideas around; they can be a great source of advice and will probably be only too happy to get involved. Your wedding may seem like a distant dream at the moment, but your engagement will fly by. So get organised, get planning and before you know it you’ll be getting ready to walk down the aisle and exchange your fiancé for a husband!